Nearly every dog owner has the same worries about letting their dog off their leash: What if they don’t come back? What if they get injured? Of course, letting your dog go off-leash can lead to altercations, injuries, poisonings, and other problems. So before you “release the hounds,” follow the tips below to make sure that you’re keeping your off-leash dog as safe as possible. And recognize too that it's not just your dog that's exposed to risk when they're off leash, plenty of other dogs (including service dogs), people (including kids), and wildlife have been injured or emotionally scarred by an off-leash dog. So please, be truly considerate and always pay attention to and follow posted leash law signs and rules. 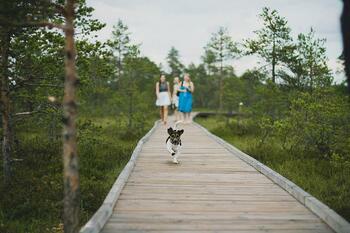 Before you go off-leash, you should be sure that your dog will reliably and consistently come when called. If you have already tried teaching your dog “come” with no luck — maybe you feel like your dog is a bit "thick" or is ignoring you — there could be a few things going on. They don’t understand, in which case you need to continue with your training, taking it a few steps back and really working on the steps involved in "shaping" the behavior (really give this "Introduction to Clicker Training" article a good read). They don’t care, this can often just be the result of not having a reward (typically a food treat) that's of high enough value or interest for your dog. "Up the ante" a bit by using a higher value treat for this training. Some dogs love small pieces of hot dog or cheese, others go in for pieces of freeze-dried liver or liverwurst, while others will do just about anything for a Cheerio! Try a few different treats to see what really gets your dog's attention. They’re nervous or afraid of you, in which case you need to consider how you’ve been training your dog. For example, do you rely on positive reinforcement or do you mainly scold unwanted behaviors? If it’s the latter, you’re unfortunately teaching your dog to be fearful around you. The science is clear: Teaching, encouraging, and rewarding your dog for desirable behaviors is more effective than scolding, dominating, or otherwise berating your dog when they do something undesirable. Positive reinforcement helps establish and build your dog's confidence and their bond with you — making the two of you a team, and helping them to want to work with and learn from you. Punishment just makes them confused and worried about being around you — a combo that isn't very likely to help with their off-leash recall! To give your dog the feel of being off-leash without losing the control and safety of a leash, you can ease into this new lifestyle with a long lead. Think of this like a special, extra-long leash that gives your dog a bit more freedom, while still giving you the peace-of-mind as you assess your dog's readiness for full off-leash privileges. There’s probably a fenced-in dog park or fenced "people park" (or tennis court) somewhere near your home. These can be great places to let your dog test their off-leash sea legs so you can see how they behave when distractions are everywhere. Before you just unleash your dog and let them go wild, ease into this new experience. Bring lots of treats — and your clicker! — on your first trip so your dog immediately associates open parks with positive vibes. If it's your first time at a dog park, it can also be helpful to bring along a friend and their dog if they’re already a pro. Check out “What You Should Know Before Taking Your Puppy to the Dog Park” for more help on your first dog-park excursion. If you sound fearful or angry, your dog will be less likely to come back than if you sound welcoming and excited. Think about it, would you want to go toward someone who’s screaming at you or someone who sounds like they want to play and offer you treats? Give your dog extra incentive to come back. If they're a little further away, the sound of you shaking or rustling the treat bag may help trigger their interest. This is why it’s so important to make sure your dog really and reliably understands that “come” means they'll get treats and praise when they return to you. There’s little chance you will be able to outrun your dog. More likely than not, you'll only encourage them to run faster and farther if they think this is now a game of chase. Worst of all, a dog who is trying to outrun you will pay less attention to possible dangers in front of them — like cars! It may seem counterintuitive, but if your dog is running away from you, sometimes your best bet is to turn and move away from them. Act like you’re heading back to the car or going home, and make it seem like you’re having the best time ever in the process. 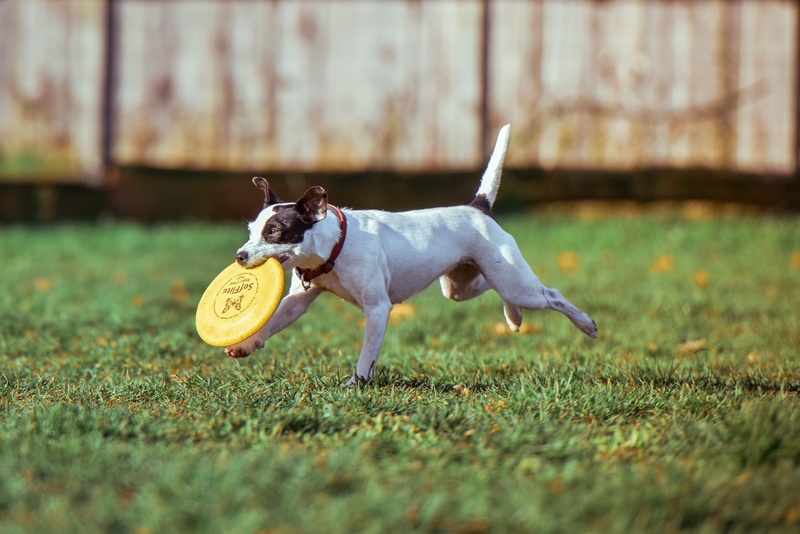 Think of what you normally do to get your dog excited and ready to play, then do that. You’re not trying to leave them; you're trying to make them think there’s something way more interesting where you are and where you're going. You've got to make yourself, where you're at, and what you're doing more interesting than whatever it is your dog is doing and/or chasing — so be convincing! You should always have up-to-date ID information for your dog. 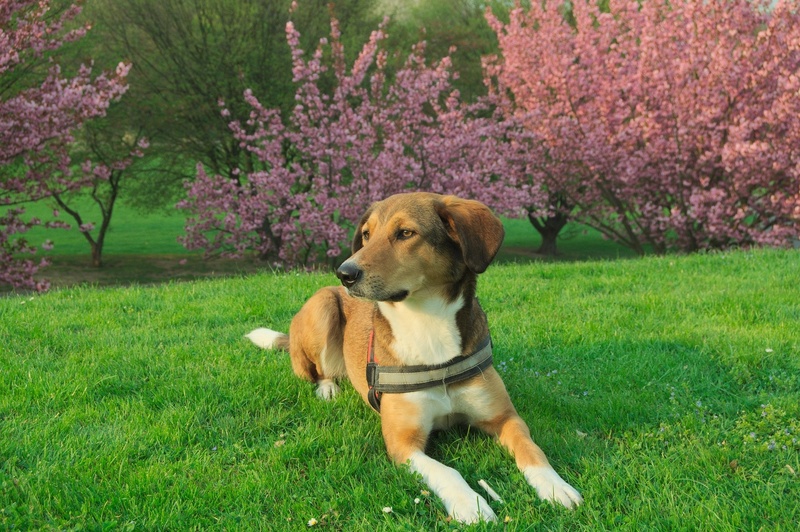 If you’ve let your dog go a little “au natural” without tags or a collar, or haven’t updated their microchip information, you absolutely must get this in order before even thinking about going off-leash. If your dog gets away from you, ID tags and microchips will be your best bet at reuniting with them. It’s also a good idea to make sure you have a variety of photos on-hand to make a lost pet poster, should you need one. Sophia Yin’s article on methods to safely break up a dog fight.